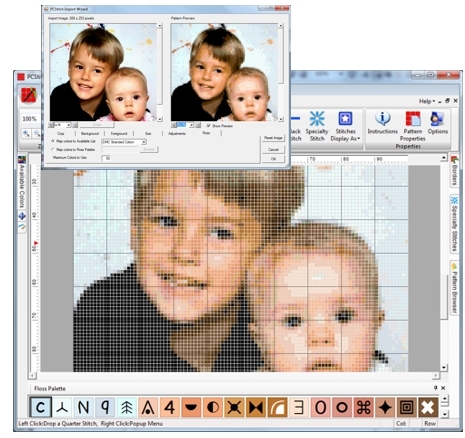 One of the most powerful features of PCStitch is the ability to convert a graphic image into a pattern. You provide the image and PCStitch will do the rest! PCStitch will size the output image to your requirements and then automatically map the colors in the image to the floss colors available. You can determine how large the pattern is, how many colors to use, and even what type of floss to use! Our import wizard takes you step-by-step through the process. 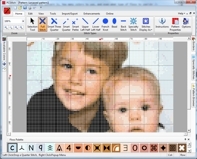 PCStitch makes creating special, one-of-a-kind cross-stitch projects from graphic images as simple as A-B-C.